The administration of US President Donald Trump is considering additional economic sanctions on Russia over Moscow’s support of the Syrian government following a suspected chemical weapons attack near Damascus, the White House said. 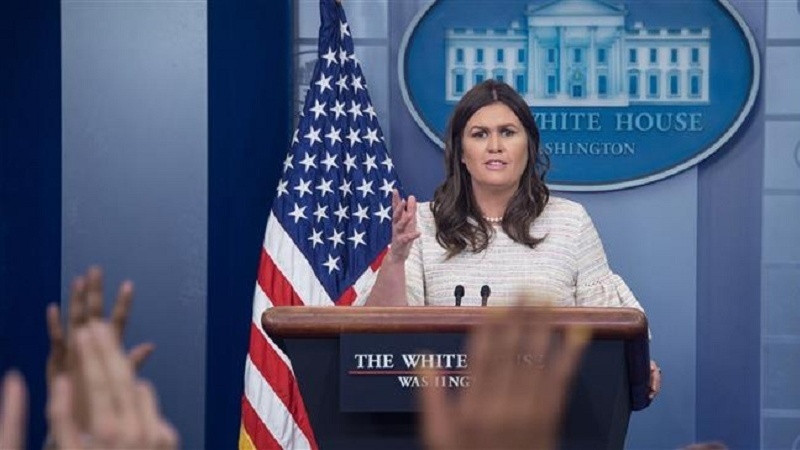 However, Sanders did not say why more sanctions would be imposed and said the Trump administration has not made a decision yet on the financial penalties. US Ambassador to the UN Nikki Haley said on Sunday that Washington was preparing new sanctions on Moscow over its support of Syrian President Bashar al-Assad. Haley also said the United States would not pull American troops out of Syria until its goals were accomplished. She listed three goals for the US: ensuring that chemical weapons are not used in any way that pose a risk to American interests, that the Daesh terrorist group is defeated and that there is a good vantage point to watch what Iran is doing. Russian Deputy Foreign Minister Sergei Ryabkov said Moscow would not delay its response to new US sanctions. Ryabkov said that Russia’s Lower House of Parliament was considering legislation that would give the Kremlin the power to restrict US imports. Russia and Syria have both denied any use of chemical weapons by the government of Assad in the Arab country’s conflict against foreign-backed terrorists. The United States imposed sanctions on 24 Russians earlier this month over what American intelligence agencies claim was Moscow’s interference in the 2016 US presidential election. Moscow has denied any collusion.